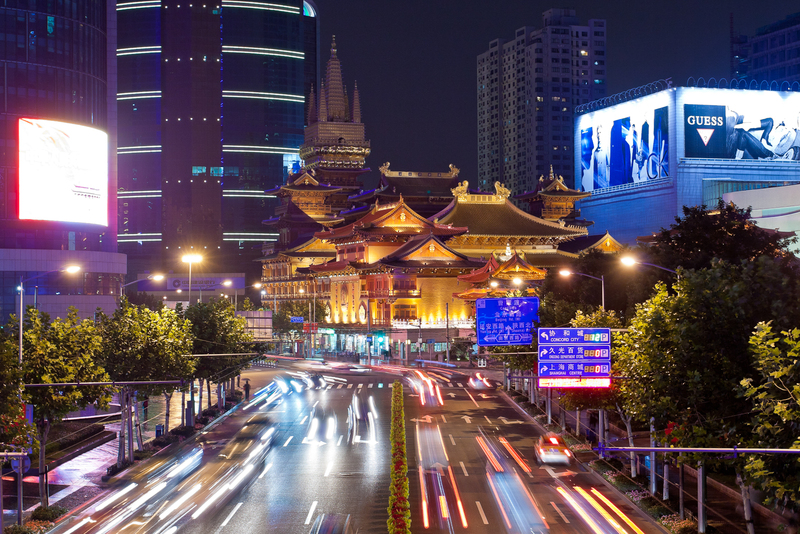 Are you ready to take on the most cosmopolitan city in China? You begin the day on the Bund, watching local Shanghainese people doing TaiChi while the city slowly awakes around you. Then you head to the French Concession for a morning coffee and croissant before joining your classmates for Chinese classes and a day full of activities and exploring. This is what Summer Camp in Shanghai is all about! Come to Shanghai to learn Chinese, immerse yourself in Chinese culture and get familiar with China's most modern and fast-moving city. The memories and friends you make here are for life. 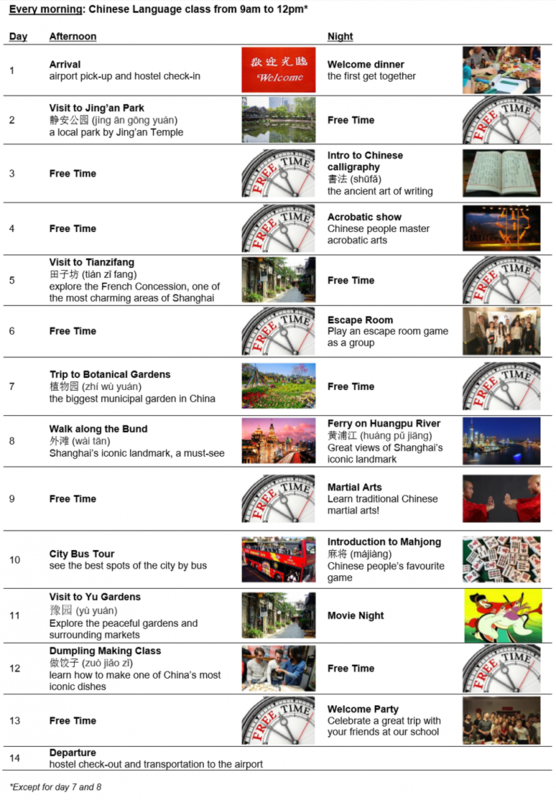 How will you spend your time in Shanghai? Wake up in a modern hostel in the heart of the city and set off for your morning Chinese lessons. Have a lunch of authentic Chinese cuisine followed by an afternoon activity such as visiting the Old Town or local markets. End your day by exploring Shanghai after the sun sets and realizing that Shanghai is so much more than the sum of its parts. 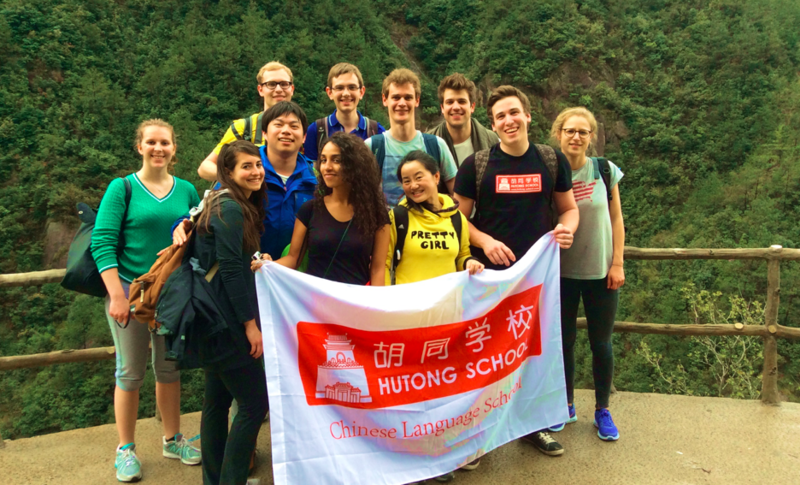 Hutong School’s innovative teaching method focuses on speaking in day-to-day situations and practicing what was already learned so that you will be able to communicate during the activities and outings. Classes are split up according to your Chinese level and into 8 students max per class. Each class is 50 minutes long followed by a 10 minute break and you will have class Monday to Friday from 9:00 until 12:00. Get lost in old, narrow lanes, keep up with the latest fashion, be mesmerized by the city skyline and join the millions of Chinese and foreigners who give Shanghai its exciting, energetic buzz. 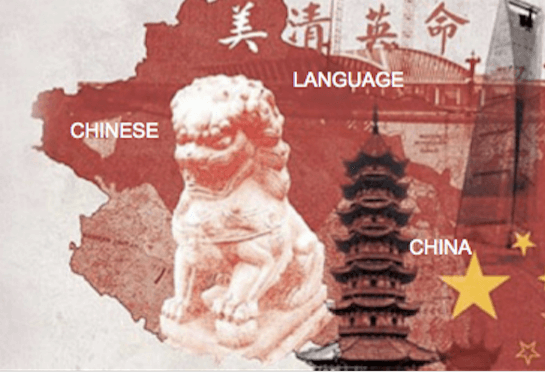 Our cultural activities give you the chance to experience modern and traditional China. You'll visit nearby water towns, sail on the Huangpu river and stroll along the Bund. You'll even get to try out traditional arts such as Tai Chi, Mahjong and bargaining at markets. You will be staying in a modern youth hostel in the center of the city. All meals and transportation are included in the price. This includes transfer to and from the airports and on all excursions. · For groups of 5 people or more we offer a discount of 5%. · For groups of 10 people or more we offer a discount of 10%. What are you waiting for? Spend the summer in China!